Meanwhile, we’re still waiting on the rulemaking, 12-1246, which addresses PPSA siting rules, Minn. R. Ch. 7850. To see rulemaking docket, which ostensibly is to address the changes in the 2005 Transmission Omnibus Bill from Hell, go HERE and look up rulemaking docket 12-1246. I expect this rulemaking to reach the Public Utilities Commission before I drop dead. But I’m starting to wonder. The “12” in “12-1246” means the docket was opened in 2012. This is 2017, almost 2018. Good grief! HERC Power Purchase Agreement DENIED! 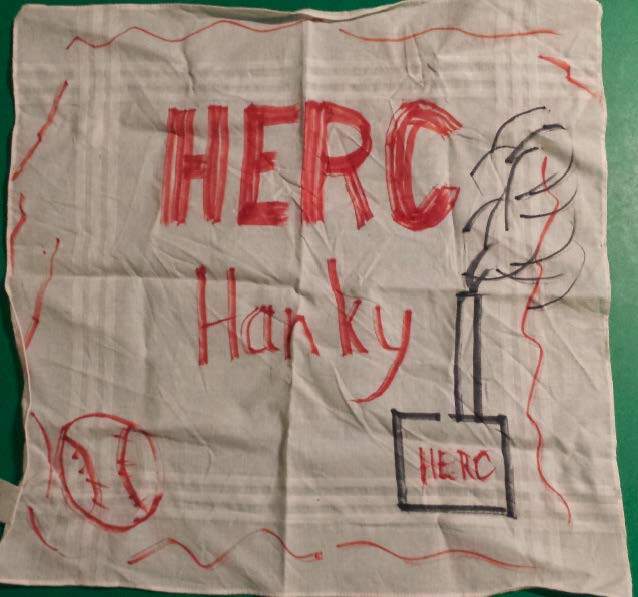 Everybody, get out your HERC Hanky and wave it for the home team!!! Last Thursday was a fairly short, but quite intense, day at the Public Utilities Commission. 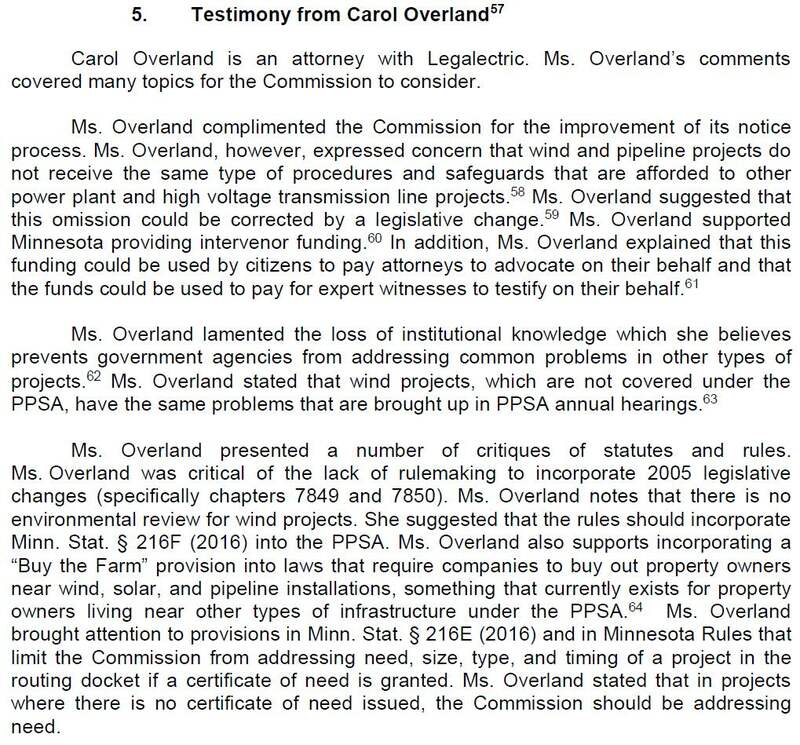 First up was Freeborn Wind (go here and search for docket 17-332), and its application for a transmission line for the project plus more. 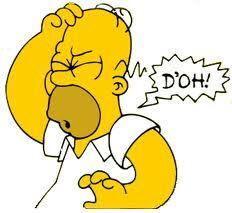 We did get the “proceeding” process and not a summary report. That’s good, not a huge deal, but enough that it means we get some extra process in the transmission routing docket, meaning an ALJ drafted Findings, Conclusions, and Recommendation (not just a report), and the opportunity to file Exceptions to the ALJ Recommendation. 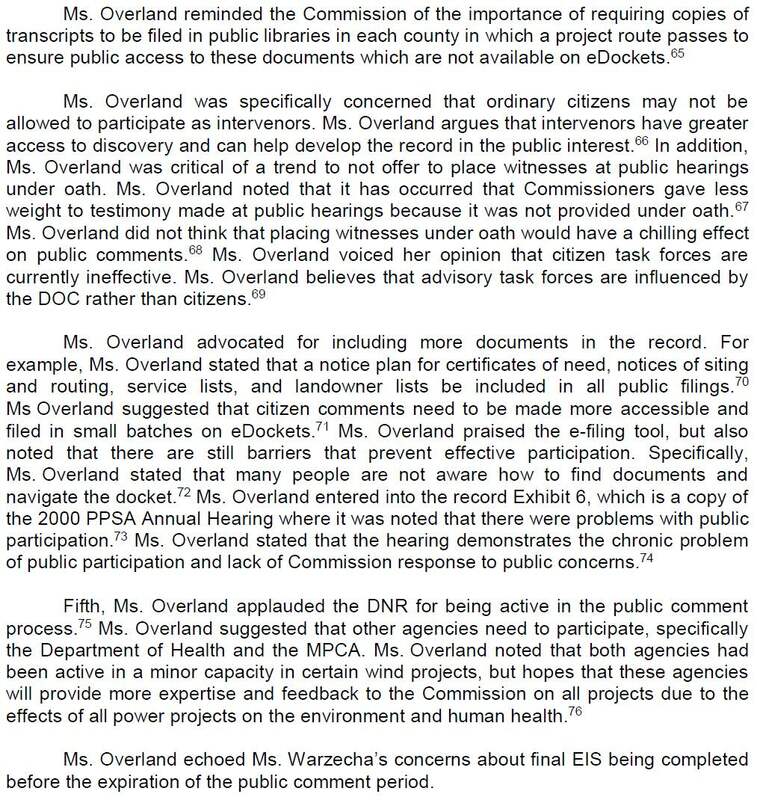 In those exceptions, we can also ask for public comment and oral argument to the Commission. Second on the agenda was the HERC Power Purchase Agreement, and Xcel Energy’s HERC PPA Petition to cut the rate (go here and search for docket 17-532). Way to go, Mr. Alan Muller! Seems to me that but for our squwaking, it would have eased on through. But the question remains, where were all the folks who supposedly had committed to shut down HERC? Yes, Minnesota, impacts of wind turbines are real, and you’re going to have to deal with it. GLENVILLE, Minn. – The vista from Dorenne Hansen’s kitchen window features corn and soybean fields specked with barns and tree groves. It may also one day include three wind turbine towers and a power line — though not if she can help it. “Iowa loves it,” said Dan Litchfield, senior manager for Chicago-based Invenergy, which is developing Freeborn Wind for Xcel Energy. As far as state permitting, “the Iowa portion of the project is done,” Litchfield said. In Minnesota, Freeborn Wind has sparked a fight before the Minnesota Public Utilities Commission (PUC). 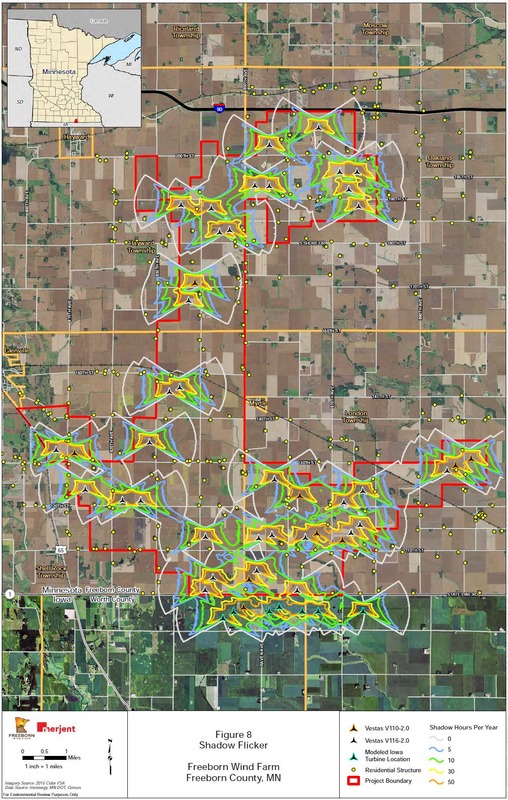 Litchfield said it’s a “myth” that wind farms cause ill health, and the Freeborn project will “comply with the law” as far as noise levels and distances between houses and turbines. The state is the seventh largest U.S. wind power producer, with more than 2,300 turbines dotting the countryside, particularly in the wind-rich southwest, according to the American Wind Industry Association. The industry has flourished with rising demand for clean energy coupled with falling prices for equipment and federal tax breaks for wind projects. Wind has been a economic boon for some farmers and rural landowners, too: Leasing land for turbine sites can generate well over $10,000 of income annually. One big change in the interim was the Bent Tree Wind Farm, which began producing electricity in 2011. “I never wanted [Freeborn Wind], and then add in the Bent Tree project and the colossal mess of that,” Hansen said. Dave Langrud, 54, of Alden was one of those who repeatedly complained to regulators about Bent Tree. Langrud owns a wood-flooring business and lives with his wife and youngest son in an old farm house that he’s restored and expanded. Langrud said he also often gets “dull headaches,” which he believes stem from the turbines. 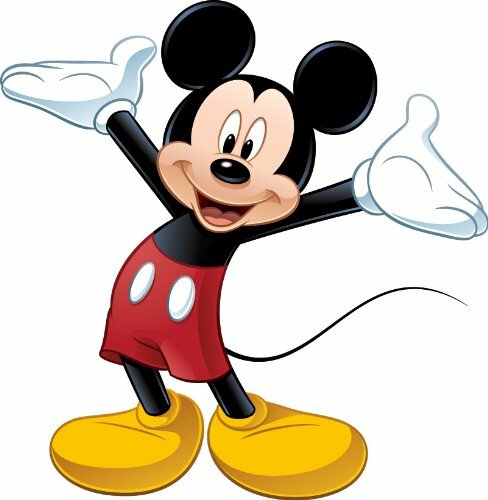 And his property — including the inside of his house — is prone to “shadow flicker,” a condition caused by the casting of shadows by turbine blades. “It drives you nuts,” he said. Shadow flicker, which primarily occurs in mornings and evenings, is a common concern of wind-farm opponents. 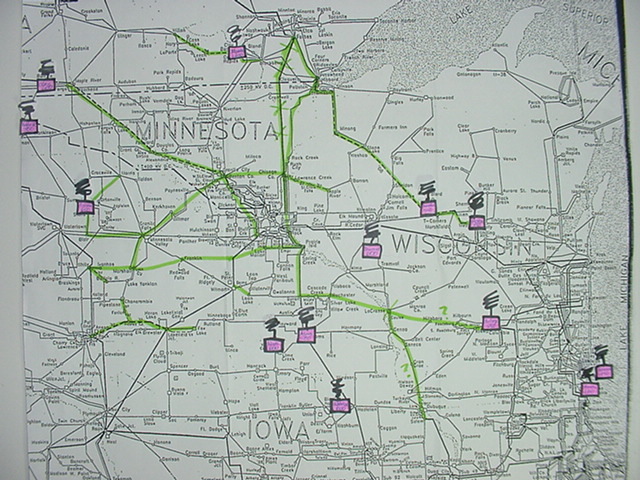 And sleeplessness and headaches are the most common complaints about wind farms from nearby residents, according to a 2009 study by the Minnesota Department of Health. 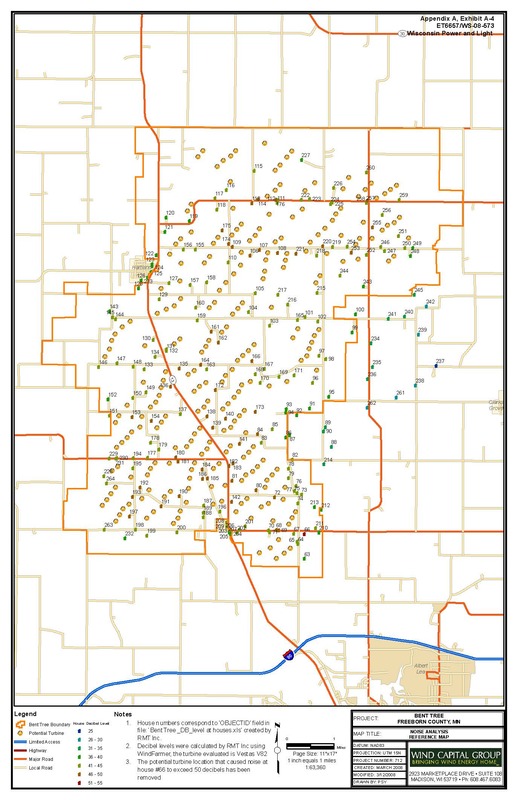 Wind farms have also drawn complaints about inaudible infrasound, or low frequency sound, which can pass through walls easier than higher frequency noise and can also be accompanied by vibration, the health department study said. Langrud has made video and audio recordings of the turbines’ effects, and he’s had a few families from southeastern Freeborn County — wary of the Freeborn Wind project — visit his home. There was an announcement in April, 2016, of the “HERC Clean Power Plan Coalition” with multiple groups joining to shut down HERC! Sierra Club North Star Chapter, MPIRG, Neighborhoods Organizing for Change, Community Power, St. Joan of Arc, etc. Electricity glut? 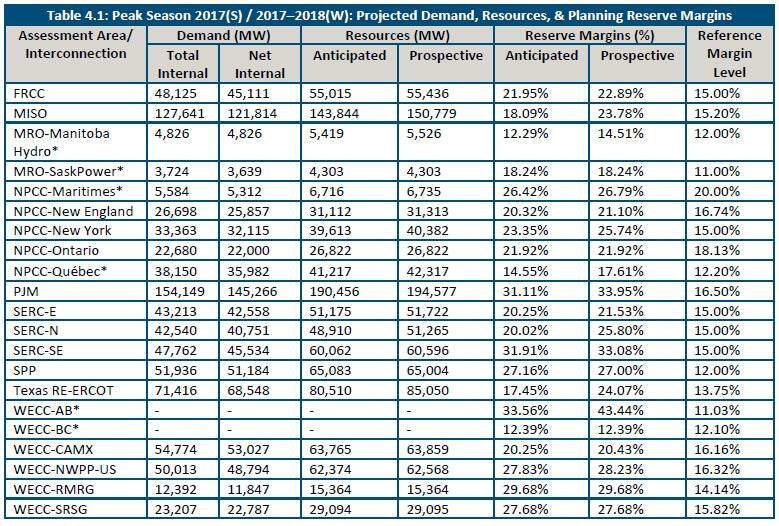 It’s all over the U.S. It’s not just in MISO’s Midwest that there’s an energy glut, it’s also PJM, which is the market that Midwest electricity producers have their eyes on. PJM is TRANSMISSON and ELECTRIC MARKETING. And North American Electric Reliability Corporation, NERC, verifies it’s EVERYWHERE! 152,176.9 MW in the HE 1600 on August 11 ,2016. 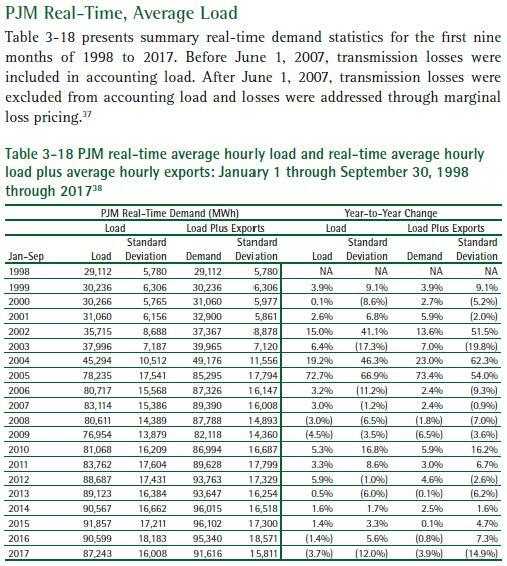 Not only is MISO far ahead of what’s needed, even for reserve margins, but look at PJM here, more than twice what’s needed to cover reserve margins. We can easily reduce coal generation NOW. What’s the hold up? Oh, right, marketing dreams… marketing dreams that we’re paying for, that transmission build-out that no one needs and no one wants, and their plans for even more! Planning meetings open only to a select few!